Perfect for mobile entertainers, rental houses and production companies. Also great for installations where great affordable sound is required. 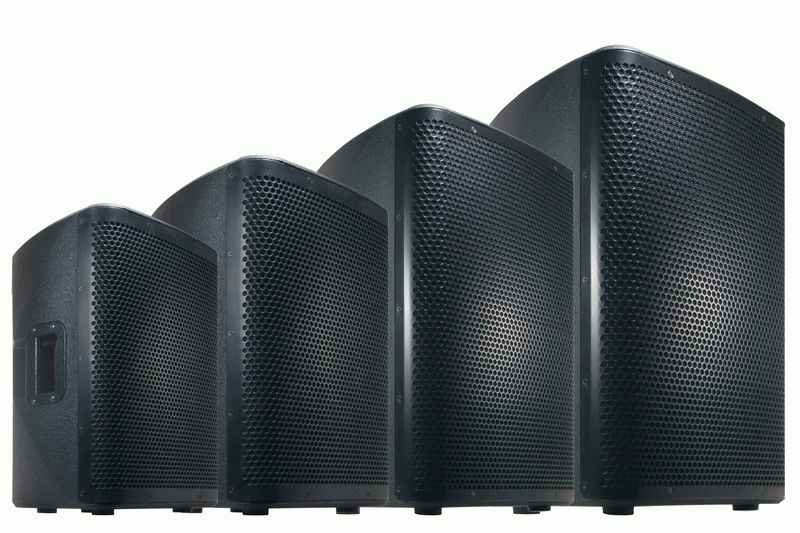 American Audio will be showcasing their new CPX active speaker series at NAMM 2014 in Anaheim, California from January 23-26, 2014. CPX-8A - The Compact CPX-8A is 200-Watts, 2-Way active speaker system that features an 8-inch woofer and a 25MM voice coil on the driver. Perfect where space is a premium. CPX-10A - The CPX-10A is 2-Way, 250-Watt active speaker system that features a 10-inch woofer and a 25MM voice coil on the driver. CPX-12A - The CPX-12A is a 500-Watt, 2-Way active speaker system with a 12-inch woofer and a 65MM voice coil on the driver. CPX-15A - The CPX-15A is a 500-Watt, 2-Way active speaker system and features a 15-inch woofer with a 75MM voice coil on the driver. At the heart of each CPX speaker are powerful Class D amplifiers. Each model is bi-amped with an active, time aligned cross-over. Clipping and Thermal protection are also built in. Perfectly matched proprietary components insure great sound and durability. The CPX series design adds versatility as well. Each model can be used as a floor monitor, can be flown in the air from its five M8 fly points, stand mounted, or set-up directly on the ground. Each model also contains a built-in mixer with Mic input with volume control, Line Input with Volume Control, Master Bass & Treble, Master output control and XLR through. Scratch Proof “Road Warrior” composite cabinet and wrap around full steel grill are perfect for giving a high end presence while protecting the components. Each model is designed to deliver great sound whether you are micing your band, using them as a side-fill or floor monitor, DJing your weekly gig, or installing them at your house of worship, club, lounge, or bar. The CPX series is great solution for updated or adding to existing installations. Stop by American Audio booth #6330 at NAMM to get a demo of the CPX Series speakers from Tom Freret, or one of the American Audio representatives. All NAMM attendees that come by the booth can enter to win a pair of CPX-15A Active Speakers.